The episode focused the members of the “Nocturnal” team helping to draw a mural on a dirty wall of an elementary school, and T-ara and IU made surprise visits as guests and joined the team to help out. The MCs were more than happy with the extra help and provided them with snacks such as ddukboki (hot rice cakes) and fish cakes. During the meal, Shin Dong Yeob and Yoon Jong Shin suggested Onew feed the snacks to the female celebrity (that was present) he has the most interest in. Without hesitation, Onew declared that he “had a person he’s always wanted to give to,” surprising the MCs. The episode will broadcast on December 19th at 11:15 PM. This entry was posted on December 18, 2010 by redtofu. 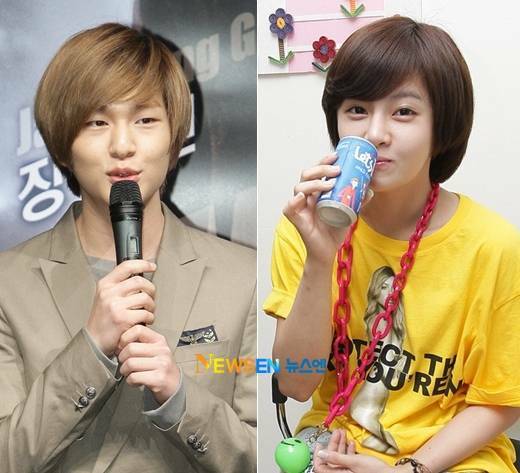 It was filed under Boy Band, Girl Band, News and was tagged with SHINee, SHINee Onew, t-ara, T-ara Boram.